The 2019 Minds Matter Benefit Dinner will take place at 6 p.m. on Friday, May 17, at Revel Fulton Market, 1215 West Fulton Market. Thanks to your support, Minds Matter 2018 was an inspiring event. 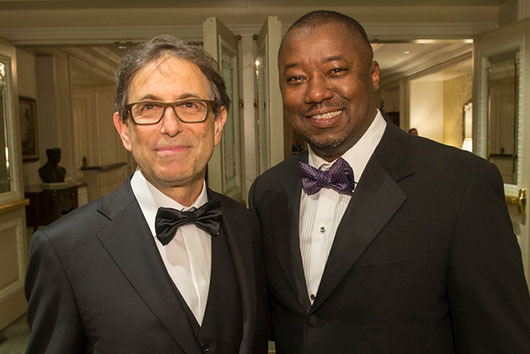 This year’s fundraiser at the Ritz-Carlton, Chicago, raised more than $615,000 on behalf of the Northwestern Medicine Lou and Jean Malnati Brain Tumor Institute of the Robert H. Lurie Comprehensive Cancer Center of Northwestern University at Northwestern Memorial Hospital. Attendees honored the institute’s 10-year anniversary, celebrating breakthrough research, expertise and treatment in the fight against brain and spinal cord tumors, as well as the recent naming of the institute by the Lou Malnati Cancer Research Foundation. "We are in it for the long haul," said Marc Malnati, who serves as co-chair of the Lou Malnati Cancer Research Foundation. "We have the right team assembled to make some significant breakthroughs in the fight against brain and spinal cord tumors." The next Minds Matter Benefit Dinner will take place in May 2019.